Mark didn’t get interested in building high-performance automobile engines until his late 20’s. Like many of his life “passions,” Mark learned how to build engines by reading and helping his friend, Steve, build engines—Mark never took a course in auto mechanics. His first hot rod was a Ford Pinto that had close to 200 horsepower and revved over 9,000 rpms. His next project was a ’76 Ford 4X4. He built a stout 390 (400+ horses and 400+ lbs. ft. of torque) that was great fun to drive. Over the years, Mark has built a number of engines for street and marine use. Some of his most recent projects were a 1971 Camaro Super Sport and a 1946 Willys”sand” Jeep. Currently, he is in the middle of modifying his 2001 Ford Mustang GT. 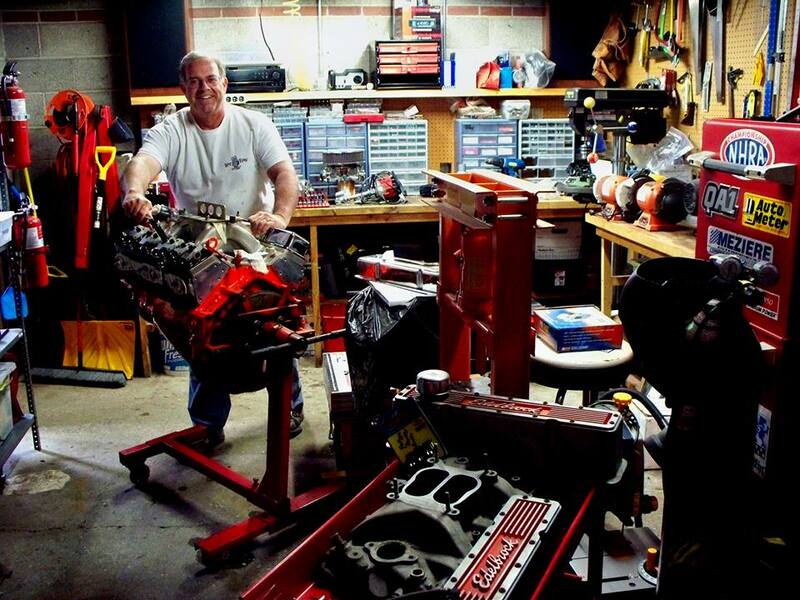 The picture shows Mark wrenching on a Chevrolet small block in his garage.